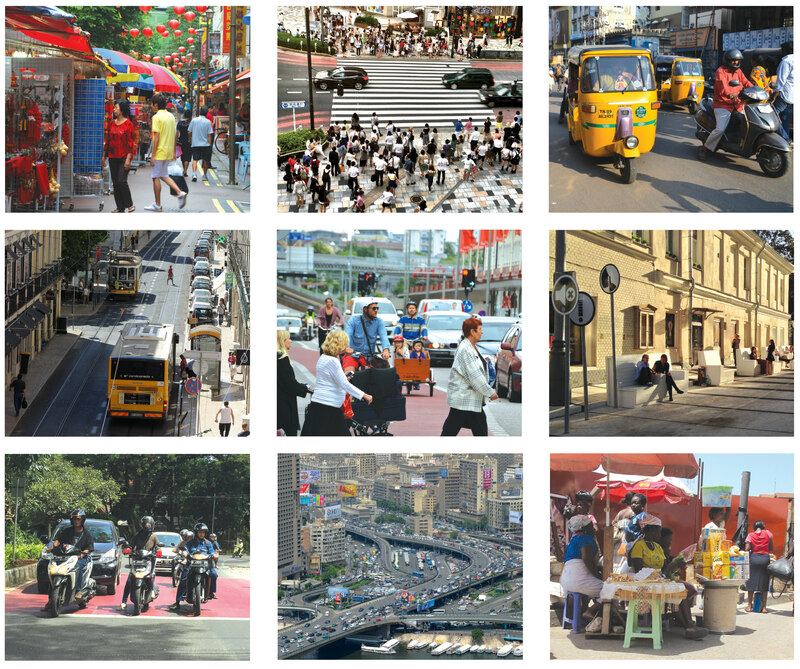 Cities are growing quickly, and their streets are changing. 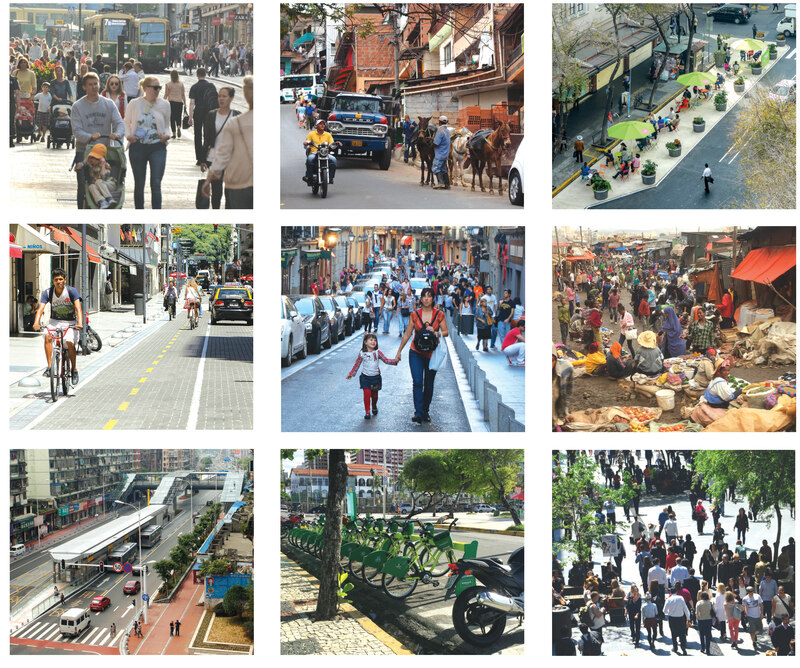 Around the world, local investment is moving from highways and sprawl, to transit and cities, and the work of design is shifting from building bigger roads to making streets that support quality places. 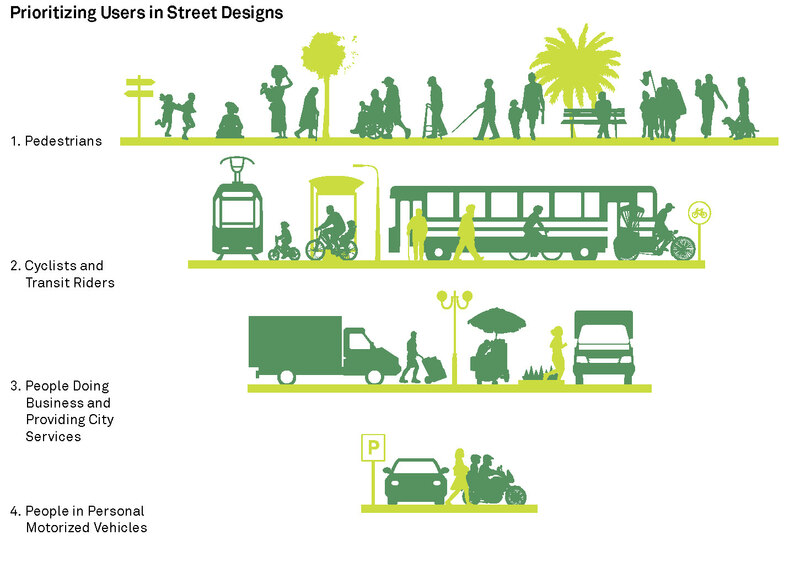 Most people in the world live in cities, and vast majorities move on foot, by bike, or in transit — but most public spaces in cities are currently designed for cars. This increasingly visible imbalance is shifting the way cities are planned and streets are designed. Transportation decisions made today will impact the development of cities, the health and safety of their people, their social equity and stability, the air and water quality they enjoy, and the carbon they emit for decades into the future. Fast–growing cities have the opportunity to avoid the highway–oriented mistakes of the twentieth century— mistakes increasingly recognized in countries that once invested heavily in roads and highways at the expense of cities. This new world does not have room for the idea that advancement is associated with increased car use and infrastructure investment for private automobiles. That belief is the foundation of the idea that only cars should be accommodated by streets and that people do not belong in public space. Cities face a decision every time they invest in transportation: they can become more car–oriented, with hollowed–out centers and vast highway networks, or more transit–oriented, with denser cores, compact neighborhoods, and sustainable streets. These are public decisions that in the aggregate affect the entire city and through their impact on climate, the entire world. High volumes of car traffic and reliance on personal motorized vehicles for urban transportation place high costs on society. References for Bike Share Resources: 1 found. National Association of City Transportation Officials (NACTO). "Can Monthly Passes Improve Bike Share Equity?." New York, NY.